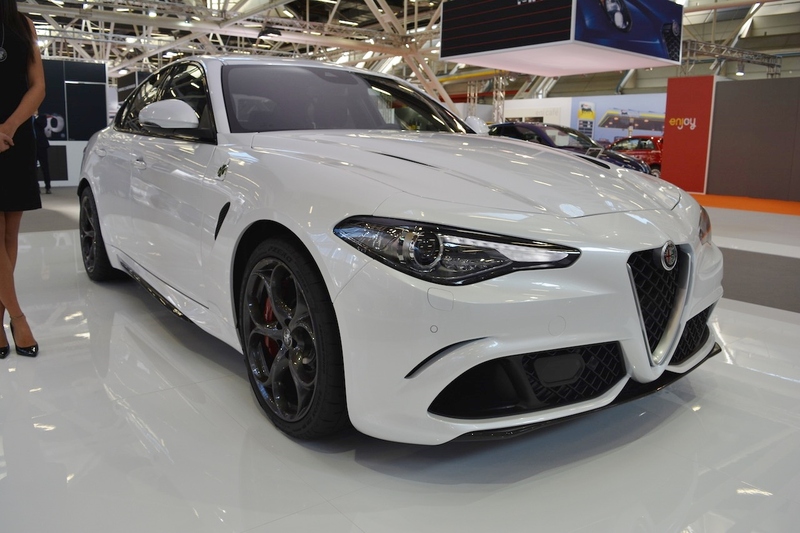 Alfa Romeo's sports sedan gains a performance variant. Alfa Romeo is showcasing the new Alfa Romeo Giulia Veloce at the 2016 Bologna Motor Show in Italy. The Veloce variant slots between the standard Giulia and the full-blown Giulia Quadrifoglio. 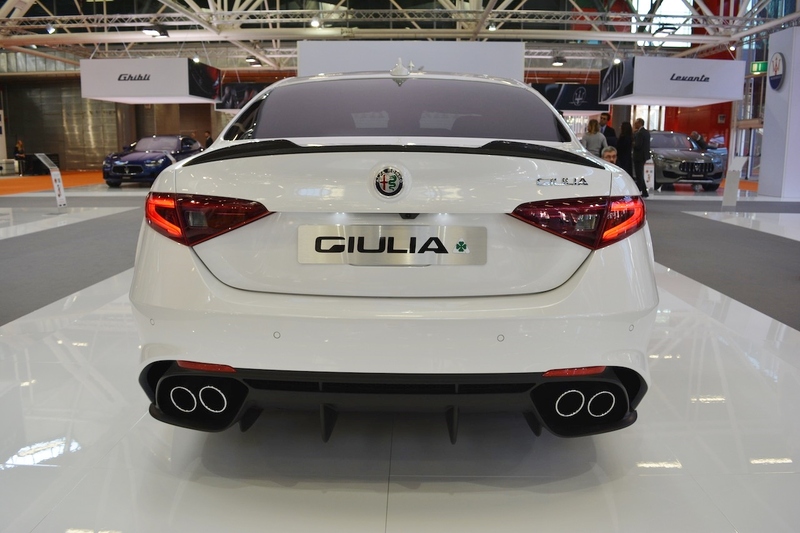 The Alfa Romeo Giulia Veloce gets Xenon headlights, QV-inspired body kit that includes model-specific bumpers, glossy black door trim, 5-hole 19-inch alloy wheels and special rear extractor which incorporates dual exhaust pipes on the outside. Inside, the Veloce variant comes with new black leather sport seats, a sports steering wheel and aluminium inserts on the dashboard, central tunnel and door panels. Dual-zone climate control, 6.5-inch Connect infotainment system, Forward Collision Warning (FCW) with Autonomous Emergency Brake (AEB) and pedestrian recognition, Integrated Brake System (IBS), Lane Departure Warning (LDW) and cruise control with speed limiter are standard in the Alfa Romeo Giulia Veloce. The Alfa Romeo Giulia Veloce packs a new 2.0-litre turbocharged petrol engine which develops 280 hp at 5,250 rpm and 400 Nm of torque at 2,250 rpm. There's also an option for a 2.2-litre turbocharged diesel engine which produces 210 hp at 3,500 rpm and 470 Nm of torque at 1,750 rpm. An 8-speed automatic transmission and the Q4 all-wheel drive system are standard.